Now, the following exception is raised. Would you please provide demo project. The 'Xafari.Base.GeoPoint' type is not persistent. Message: The 'Xafari.Base.GeoPoint' type is not persistent. Add XafariModule and XafariEditorsModule to the Module Project. 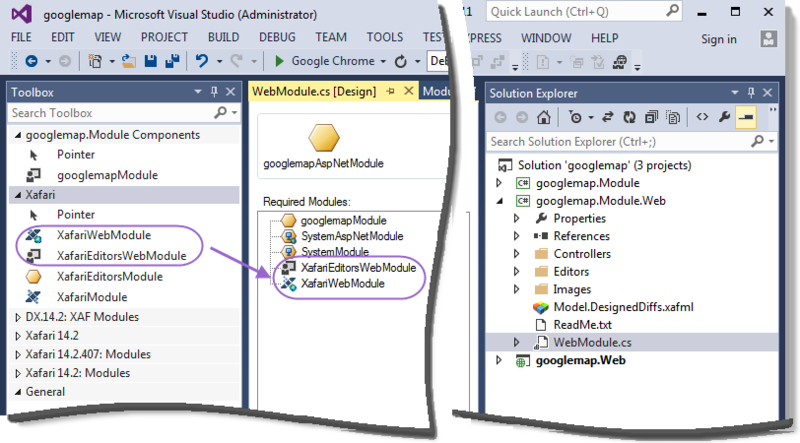 Add XafariWebModule and XafariEditorsWebModule to the ASP.NET Web Module Project. 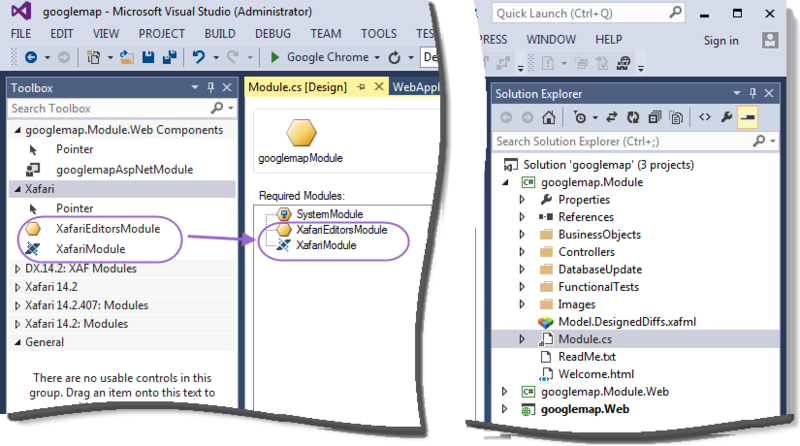 Also do not forget to register entity in the Setup method of the Module. and modify the automatically generated file content as follows. Run the ASP.NET application. 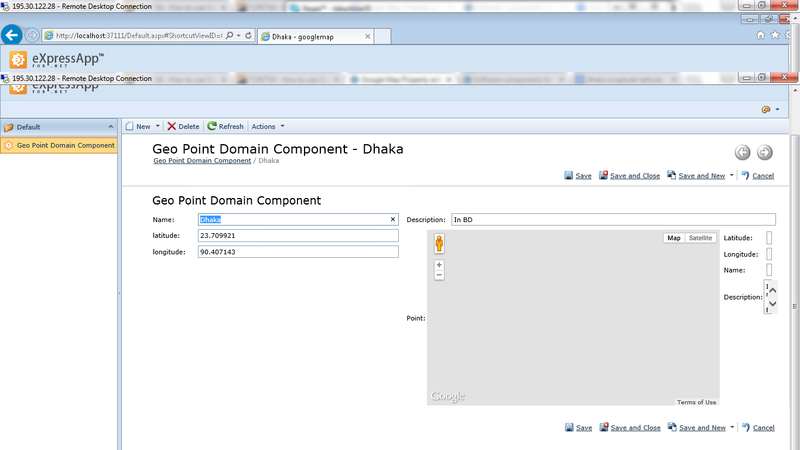 Select the ClassWithGeoPoint item in the navigation control and click New Action. 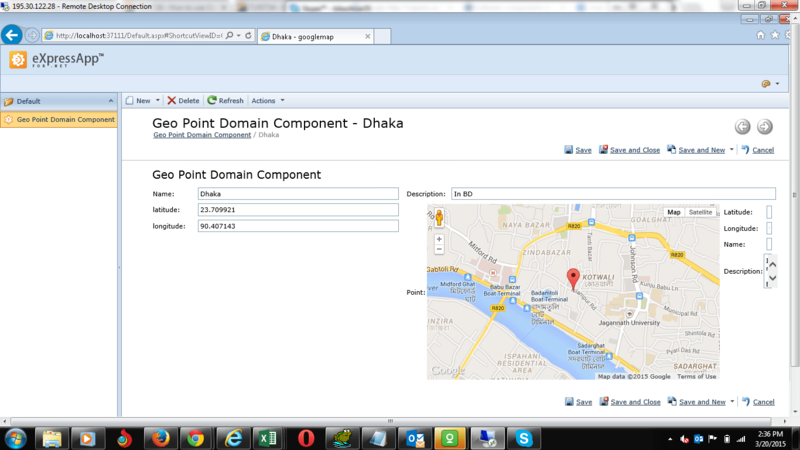 In the invoked Detail View, you can see GoogleMapPropertyEditor. Please inform us of your result. You can send us a simple sample where this issue is reproducible, if this solution not suits for you. You forgot to add XafariModule, XafariWebModule, XafariEditorsModule and XafariEditorsWebModule in your project. 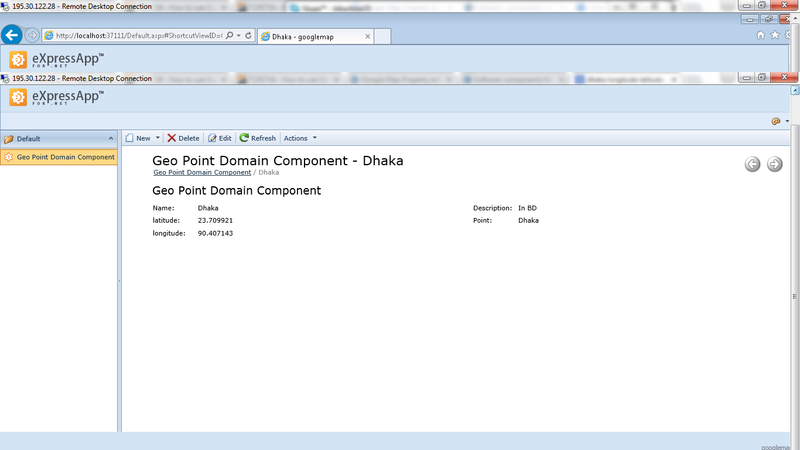 But in View, Map isnot shown (view.png) and in Edit mode, empty map is shown(Edit.png). I have reproduced the problem demonstrated in your sample and forwarded your ticket to our developers for further research. It will take some additional time. In Addition, I need to show multiple locations (list data/selected data) in a single map. How can I achieve it? Xafari Framework supports only current behavior for GeoPoint and you can't use GeoPoint as Calculated property (unfortunately, we are not planning to create this function in the near future). 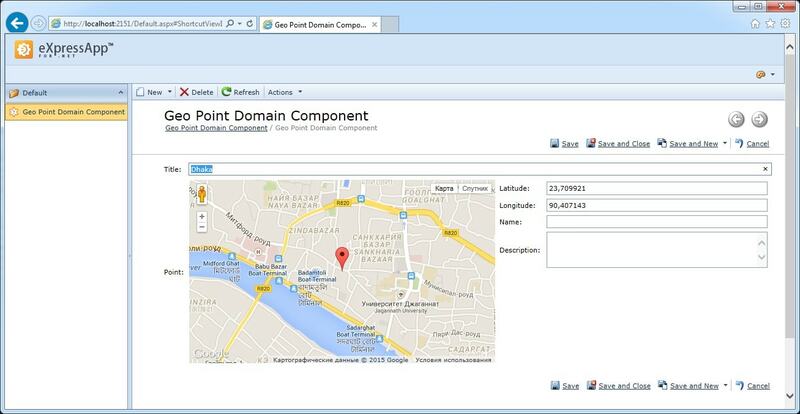 But you can create own PropertiEditor or ListEditor for GeoPoint. 1. Map is shown in View Mode. New Xafari assembly contains this functional. 2. We haven't reproduced the case when empty map is shown in Edit mode. See attached screenshot ViewMap.jpg. If you can reproduce this problem, please, send us the example. 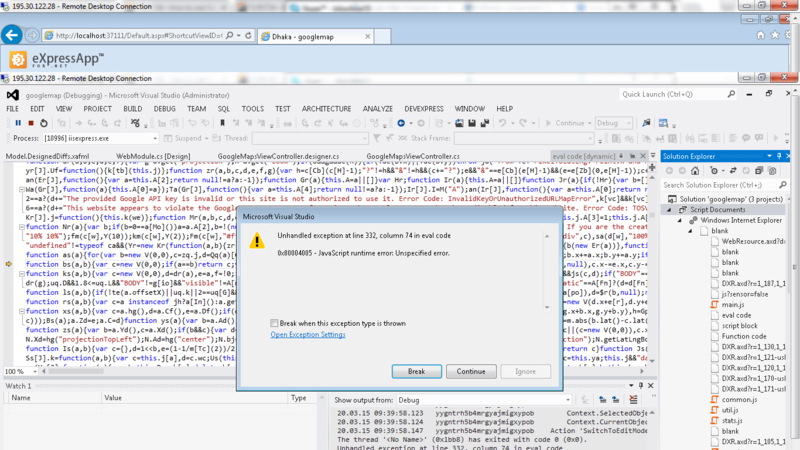 But we have found out that it occur only in InternetExplorer, when you start application from visual studio. If you deploy application, it works fine. You can use another browser to pass this problem.